Many Montanans aren’t quite thinking of skiing and snowboarding, as many are still waiting for the general archery season, but many are already picturing the snow! Here’s quite a snowboard for the snowboarder in your life. If the idea of an LED snowboard excites you, then you are going to love engineer Norihiko Enomoto. 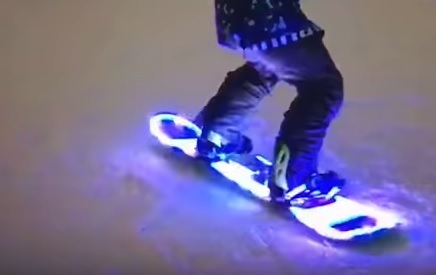 Even better, click here to find out how to make your own LED snowboard!